Elton John is no stranger to Toronto, and now he's verging on full Torontonian status by weighing in on the city's best burger. 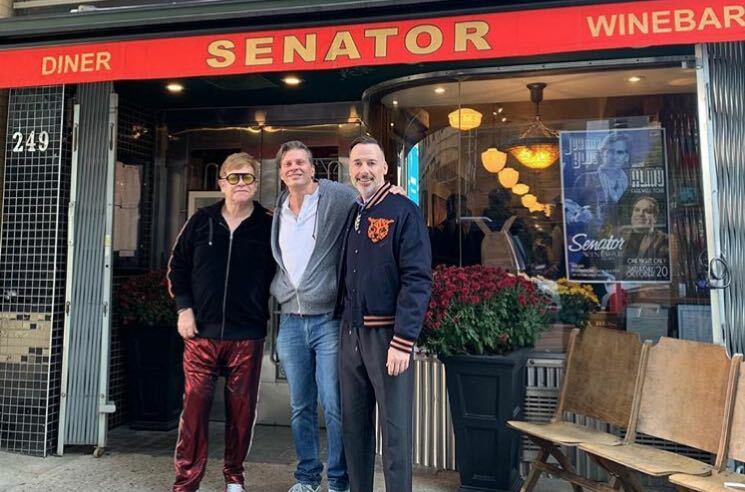 The singer joined his Scarborough-born husband David Furnish for a meal at the Senator diner on Victoria Street earlier this week, and later took to Instagram to proclaim the burger there "the best burger in the world." According to CBC, John and Furnish enjoyed the meal along with their children and other family members — and it wasn't their first visit. John had visited the restaurant years ago, while Furnish is a semi-regular customer. Apparently other customers were polite enough to refrain from asking for selfies, though one patron a couple seat away from John was overheard on the phone saying, "I think Elton John is sitting across from me." The Senator's manager Allen Gottschalk did get a photo with John and Furnish, though, which John shared via Instagram. In the caption, he thanked Gottschalk for the "warm hospitality" and made his declaration of "the best burger in the world." Now fans know where to look out for the singer when he returns to Toronto next year on his extended "Goodbye Yellow Brick Road Tour."